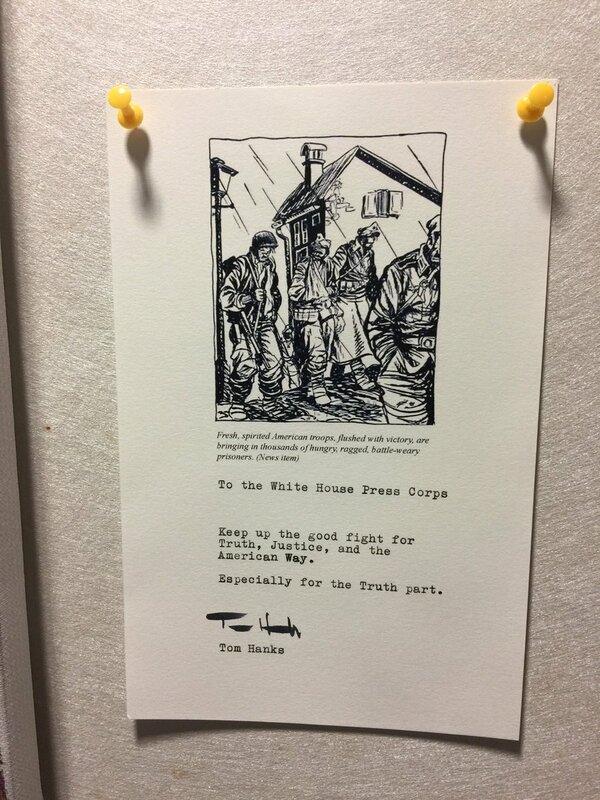 Tom Hanks sent the White House Press Corps the ultimate gift and an even better note. America's Dad Tom Hanks is looking after his children. 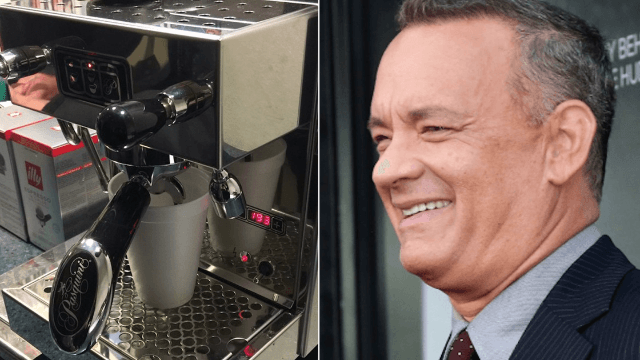 As the White House Press Corps face a hostile work environment under Spicey, Tom Hanks is sending the troops the equipment they badly need to keep up the good fight against "alternative facts": an espresso machine. Keep up the good fight for Truth, Justice, and the American Way. Especially for the Truth part.